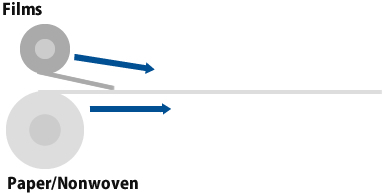 Flims are laminated on paper or nonwoven. 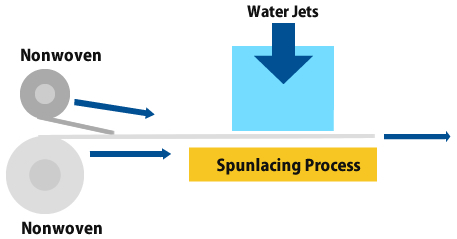 Nonwovens can be combined by spunlace process without any adhesive agents or binders. Miki(Anhui) Tokushu Non-woven Material Co.,Ltd. Anhui Mikitoku Material Co., Ltd. Copyright (c) Miki Tokushu Paper MFG.CO.,LTD. All Right Reserved.